This shop has been compensated by Collective Bias, Inc. and its advertiser. All opinions are mine alone. #PerfectPortions #CollectiveBias. Read my disclosure policy HERE. Don’t forget about your four legged family members when you are planning your vacation. 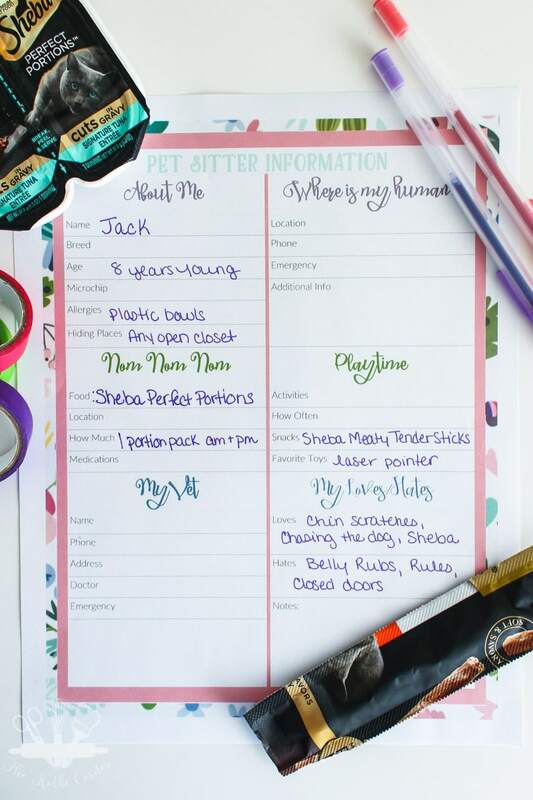 Keep all important information handy for their caretakers with this Free Pet Sitter Printable. Our cats are very spoiled and require demand a lot of love and attention. My husband and I got our two crazy fur babies, Jack and William, shortly after moving in together 8 years ago. 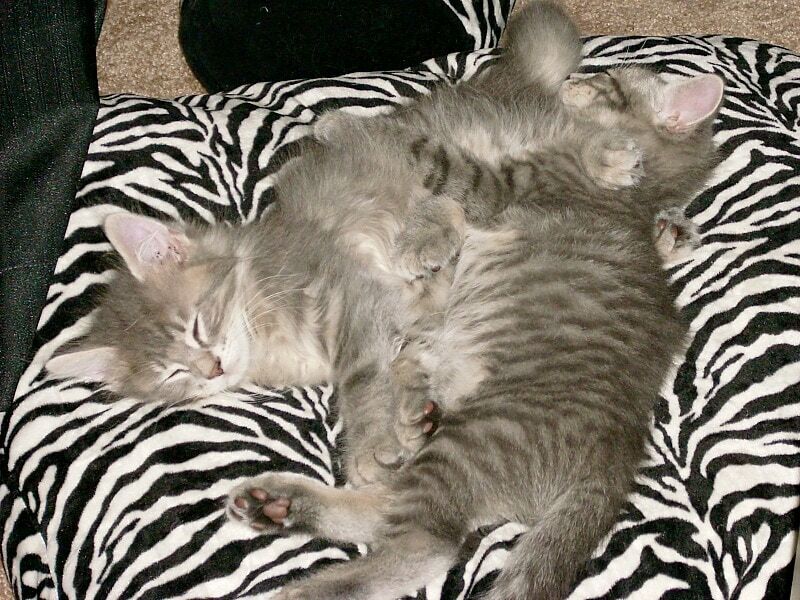 We had every intention of only taking home one kitten, but instead we brought home two little fur balls. I mean look how cute they were!! We couldn’t say no. Summertime is always a busy time of year with activities and travel plans, keeping us away from home more often than usual. Fortunately for us we have a wonderful pet sitter that always takes excellent care of our boys. 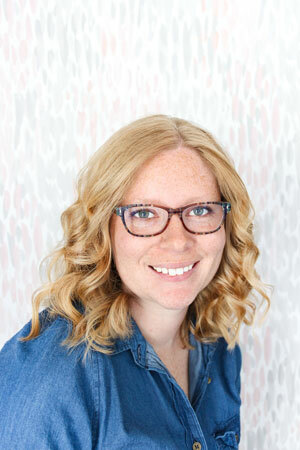 Having someone trustworthy takes a load off of our shoulders, plus we can feel good about leaving our cats at home where they feel the most comfortable. Boarding them in a noisy, unfamiliar kennel can be very stressful on them, so being able to leave them at home is wonderful. 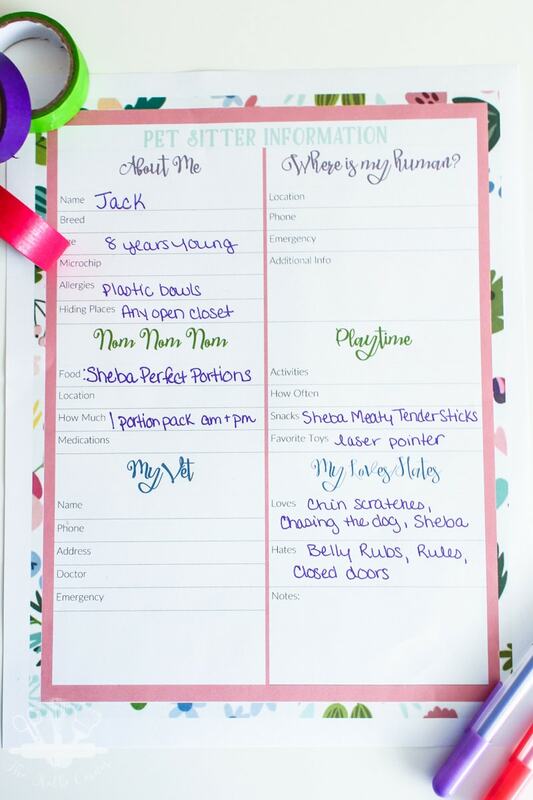 To make things simple for our pet sitter, I created a pretty pet sitter printable that we can fill out before a trip. 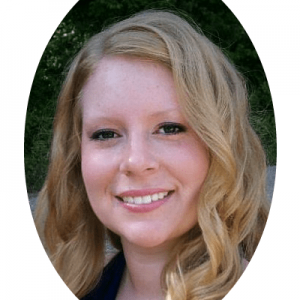 This is a great way to have all of the information your pet sitter needs right at their fingertips. Not only is there a place for feeding and playing instructions, but everything they may need in the unlikely emergency situation is right there for them. They can contact your normal vet, as well as you without having to search for numbers! To get your own FREE pet sitter printable, click HERE or on the picture below. 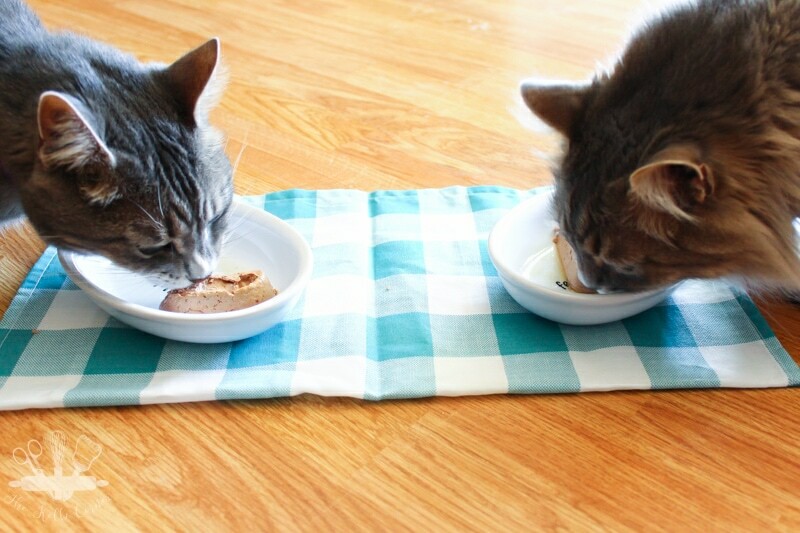 One thing that makes mealtime easier for our pet sitter, and lets us rest easy while we are away is feeding the boys SHEBA® PERFECT PORTIONS™. Let’s face it, our boys love to eat. They would eat 24/7 if we’d let them. Really that food dish says it all!! When it’s empty they think I need to fill it right back up. Luckily with the SHEBA® PERFECT PORTIONS™, they get the right amount of food and nutrition in one portion pack, AND our pet sitter doesn’t have to bother with trying to divide out a can of traditional wet food to split between them. I call that a win all around! Plus the boys love it! I guess that’s why it’s SHEBA® WHAT CATS WANT™! 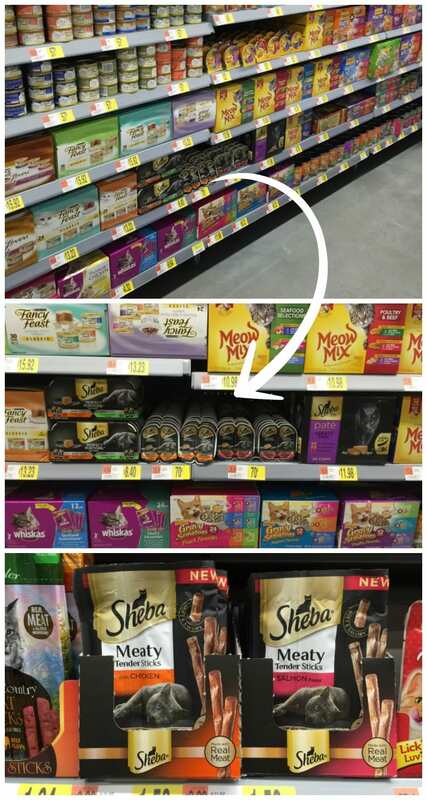 You can pick up the SHEBA® PERFECT PORTIONS™ at Walmart in the pet food aisle while you are shopping for everything else. No need to make a special trip to the pet stores. They come in multi-packs or singles and in 3 flavors your kitty will love: Turkey, Chicken and Tuna. And while you’re out, you’ll definitely want to pick up a pack of the SHEBA® Meaty Tender Sticks too. 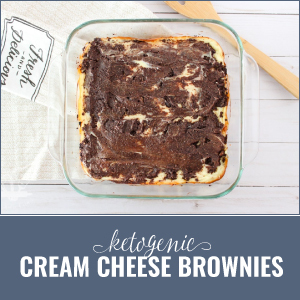 They are made with real meat and no artificial flavoring. Our boys devour these!! 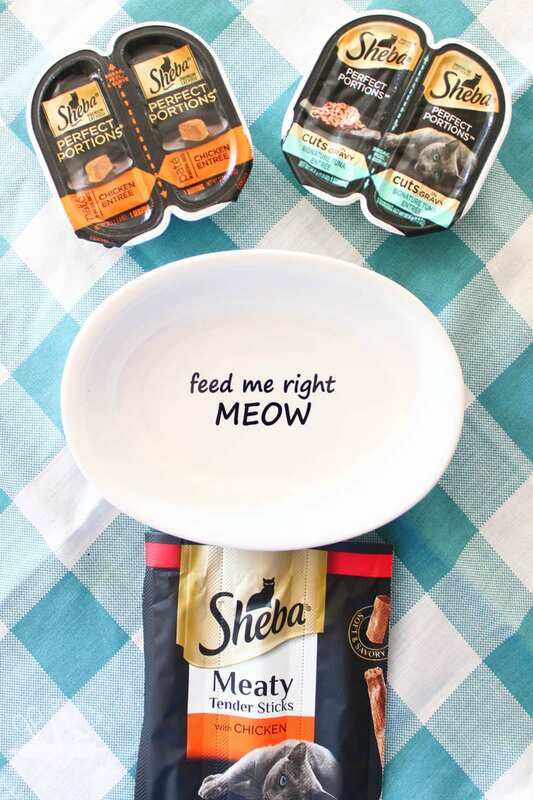 If you need even more inspiration on ways to spoil your cat with SHEBA®, be sure to check out their #PerfectPortions inspiration page, and tell me in the comments how you spend time with your cat at home! 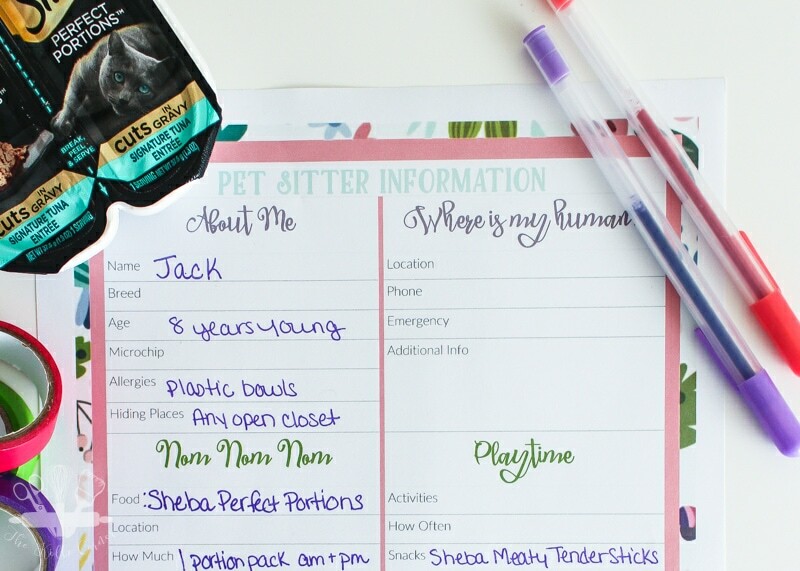 The pet sitter printable is an excellent idea. I do a little pet sitting here and there and this information is so important to have handy. Your kitties are beautiful. Thank you Debra! It really does help out a lot! I love this idea! 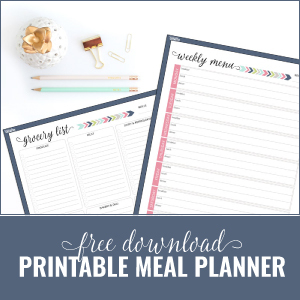 It’s so perfect to keep all the information in one place, and also looks adorable! 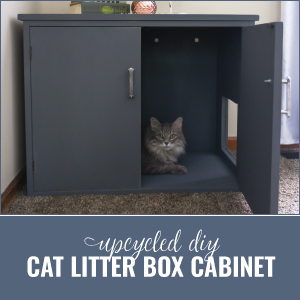 This is such a smart idea! !